Library files are available in several formats which will be noted for each item. In order to work with Portable Document Format (PDF) files you will need a reader. Click here for the free Adobe Reader. Click here for Reporting a NARFE Texas Member's Death, with steps to report online or by email. Click here for F-9 “How Do I Report a Member Death?” (use only for postal mail) Officers should use the OAM to report death of member. A member can change their address by going online, www.NARFE.org After loging in go to WHAT YOU CAN DO ONLINE and click on Update My Recorders. (Preferred Method) Contacting NARFE Headquarters (703) 838-7760. Or asking the chapter president, secretary, membership chair to do it for them. 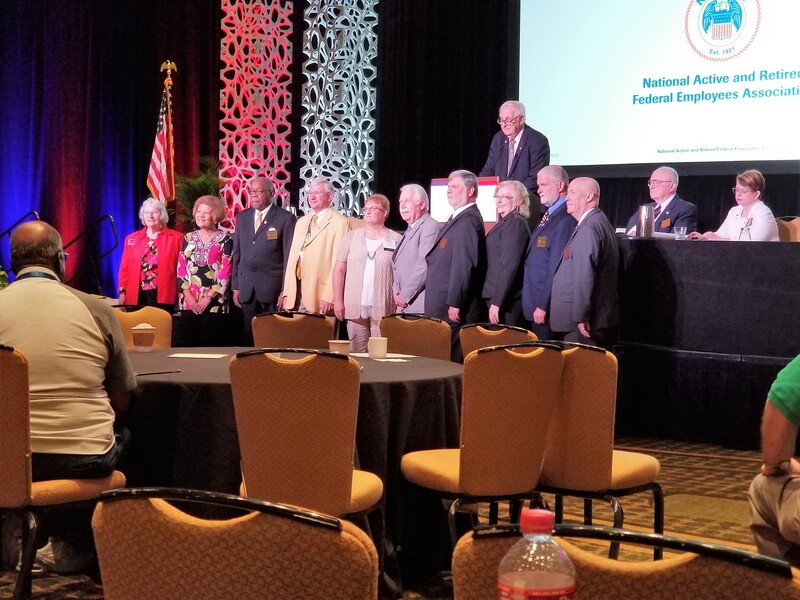 Click here for FH-4 NARFE National Articles of Incorporation, Bylaws and Standing Rules (PDF) Note, includes Oath of Office at the end. Click here for NARFE Code of Ethics, December 2008. Click here for TF-1 Monthly Activity (DOC) for word processing Preferred version. Type your name in the "submitted by" area and email to approving officer. Click here for TF-1 Monthly Activity (PDF) Fillable or print and fill in. Use only if you are unable to use a computer word processor. Click here for TF-2 Officer Expense Report (XLS) as of 04-2018. For those who use Excel or a compatible spreadsheet. Current approved mileage and meal rates included in calculations. Preferred version. Complete and type your name in the "submitted by" area and email to approving officer. Note, corrected date formatting in approval area. Click here for TF-2 Officer Expense Report (PDF) Fillable. For those who do not use a spreadsheet program. User is responsible for all calculations. Excel version is the recommended version. Click here for TF-3A Proposed Federation Committee Resolution. Click here for TF-3C Proposed Federation Bylaws/Standing Rule Amendment. Click here for TF-4A Texas Federation Matching Funds Application. Click here for TF-4F Matching Funds Final Status Report. Click here for TF-5 Bid for Federation Conference. Click here for TF-7 Award Certificate Nomination. Click here for TF-8 Award Plaque Nomination. Click here for TF-11 Chapter Visit Checklist (DOC). For use with Word or compatible software. Preferred version. Click here for TF-11 Chapter Visit Checklist (PDF). For those who do not have a Word program. To view the TF-Areas and Districts. Right click on the image, choose "View image"
To save a copy, right click on the image, choose "Save picture as", browse to the desired location, rename as desired and save. Click here for TF-DW2-3 Dues Withholding Application (Texas). To save a copy of the TF-logo, right click on the image, choose "Save picture as", browse to the desired location, rename as desired and save. To view the Texas Federation Organization Chart. Right click on the image, choose View image.